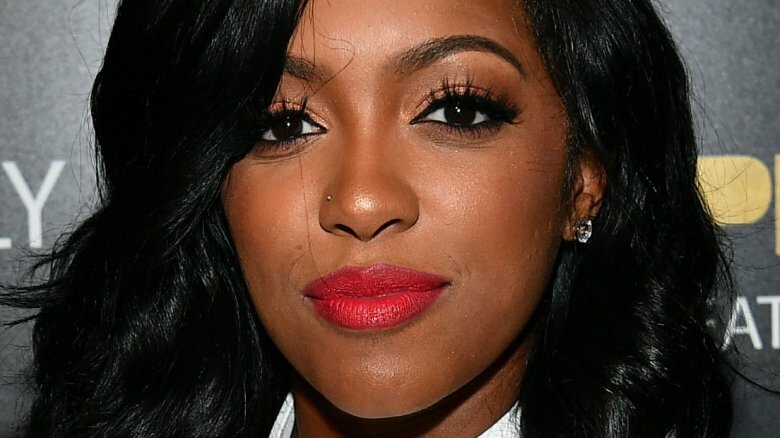 The Real Housewives of Atlanta star Porsha Williams is reportedly facing a health scare. According to a source cited by Us Weekly, the pregnant reality TV star was reportedly "experiencing extreme pain" due to fibroid complications this weekend. Thankfully, the insider added that her unborn baby is doing "fine." However, at the time of this writing, Williams herself has yet to publicly comment on her current condition. As Nicki Swift previously reported, Williams, 37, first announced that she and fiancé Dennis McKinley, 38, were expecting their first child together in mid-September 2018 — just days before sharing their engagement news on Instagram. In late October, the parents-to-be revealed that they are having a baby girl. The Bravo star, who previously suffered a miscarriage, recently told People magazine that her pregnancy was "a dream come true." Williams went on to add, "The thought of me getting that blessing after praying for it for so long and getting that blessing with someone who is just as excited as me — it's Dennis' first child, just like me — and it's something we've both always wanted." Elsewhere in the RHOA sphere, Williams and Leakes' co-star Kenya Moore welcomed her first child, a baby girl named Brooklyn Doris Daly, with husband Marc Daly on Sunday, Nov. 4. "Brooklyn because that's where we met and fell in love," the 47-year-old reality TV star, who underwent in-vitro fertilization treatments, told People this weekend. "And Doris after my grandmother who passed away last year and who raised me." The married pair's newborn daughter was born via emergency C-section days after Moore revealed that she'd tested positive for "possible preeclampsia." According to the Mayo Clinic, this condition is "characterized by high blood pressure" and could potentially lead to "serious — even fatal — complications" for both mom and baby. The website noted that the "most effective treatment is delivery." Thankfully, as Moore added to People, she's doing well despite her recent pregnancy complications, while little Brooklyn is "very alert and active." We're wishing Williams a speedy recovery!